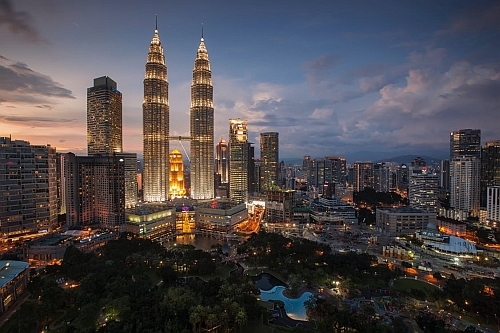 Similar to the Thailand deal, ANA (All Nippon Airways) has now dropped the price of their flights from Saskatoon to Kuala Lumpur, Malaysia down to $574 CAD roundtrip including taxes. 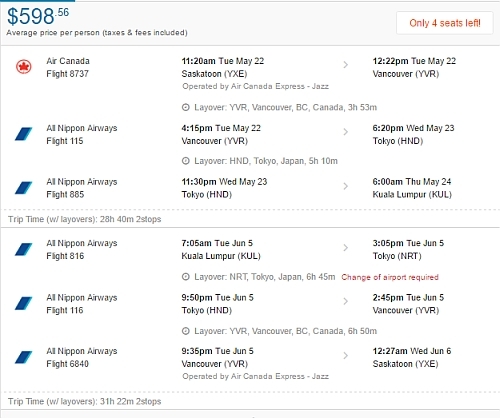 You can extend the layover in Japan to as long as you want, for an extra $115. 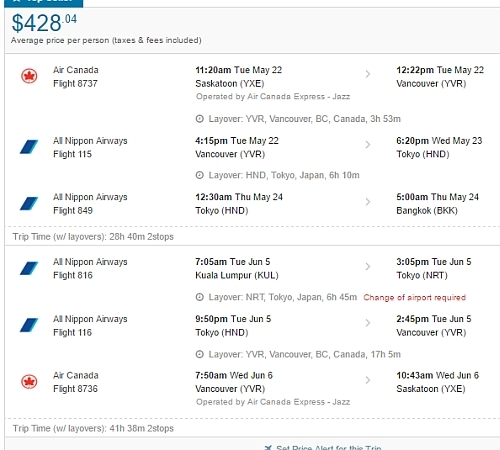 NOTE: After your Flighthub search completes, click on 'Flexible Dates' to potentially see more dates around this price. This option is not available on the mobile site. - Try using the same dates from the list of regular roundtrip flights at the top of this blog post. - The flight between Malaysia and Thailand is not included. It generally costs around $50 to fly between Kuala Lumpur and Malaysia on AirAsia. saskatoon, yxe, flight deals, asia, southeast asia, all nippon airways, ana, kuala lumpur, kul and malaysia.